Every indoor mudroom and outdoor garden, porch or gazebo needs a nifty place to sit. A comfortable place that is Shaker-simple in design, yet aesthetically pleasing to the eye. With no previous woodworking experience, you will build a finger-jointed bench, then finish it with a stain or milk paint for an indoor or outdoor elegant, inexpensive addition to your home. 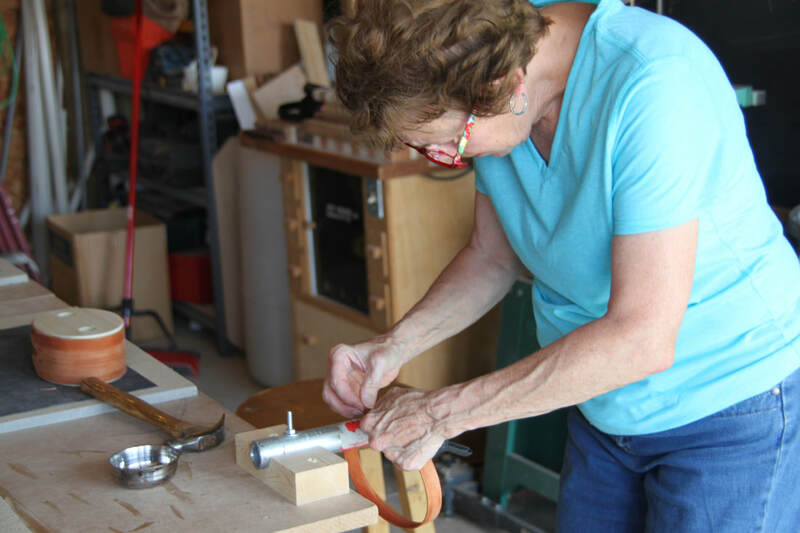 The Shaving horse is the ideal "workbench" for traditional woodworking, such as making tool handles, walking sticks, rustic furniture, carving spoons, and more. This foot operated clamp holds stock securely when shaping with the drawknife and spokeshave. Students in this course will make a hybrid style shaving horse with a treadle frame and a plank seat. The horse can be easily broken down for transport or shipping. This is a fun and easy project, yet abounding in usefulness. Before the age of canisters and Tupperware, Shaker craftsmen made and marketed oval boxes made of wood. 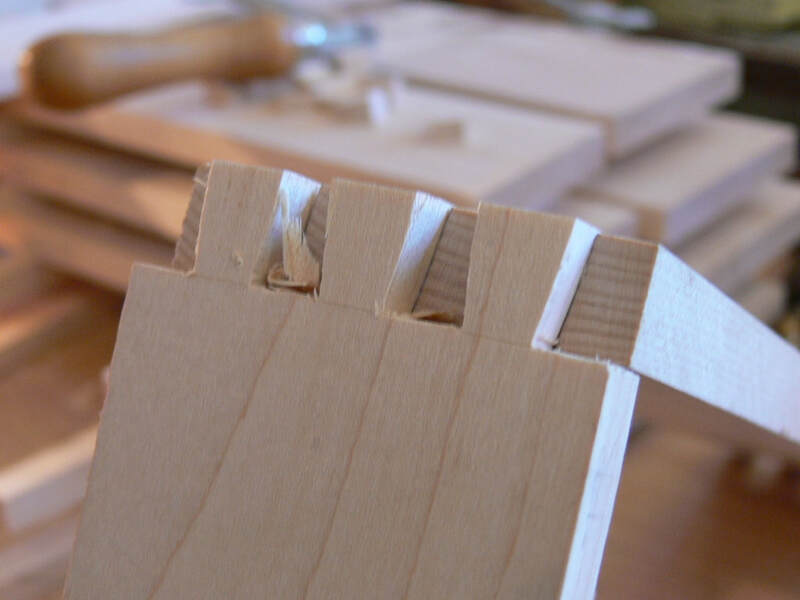 Explore the traditions of the Shaker box as you learn how to soak, bend, tack, carve and sand cherrywood to form the box and lid. In the end you will make a stack of three nesting boxes finished with homemade beeswax furniture polish. Your finished product can be used for all occasions, utilitarian as well as decorative. Its charm and grace make a difference whatever role it plays. Continue to explore the traditions of the Shakers with our intermediate follow-up to the introduction class. This workshop is designed for those who have taken the Crafting Oval Shaker Boxes workshop and wish to expand their skills in Shaker box making. Students will tailor their workshop by selecting several projects from a variety of styles of Shaker boxes. With simple instruction and professional support, students will have the option of making fixed handle carriers, divided trays, tray inserts, or other custom items such as tissue boxes or a sewing box. 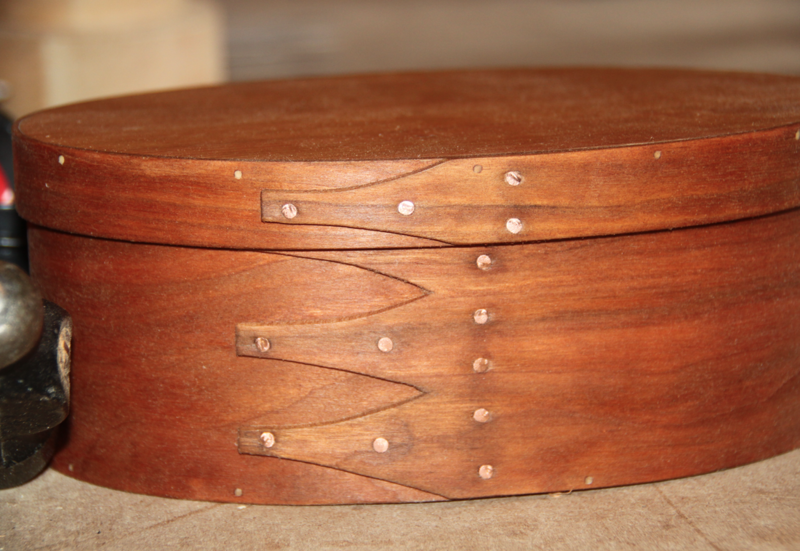 Prerequisites: Crafting Oval Shaker Boxes or Shaker Box making experience is needed. You can't beat the look, feel and durability of a butcher-block end-grain cutting board in the kitchen. Creating this knife-saving tool has been described as self-healing. This workshop will show you the way around the woodshop, basic tool safety and the properties of wood. Perfect for beginning woodworkers, this class offers step-by-step techniques to help you construct a one-of-a-kind, useful and beautiful cutting board for your kitchen. It can be easily argued that no tool has had such a profound historic effect on the role humans have played in shaping their environment as the axe. It can also be argued that the design of the axe reached its zenith when exposed the the booming lumber industry of the developing United States. This course will delve into the design and anatomy of an axe, the cultural connotations different designs can carry, as well as different axe makers and regional patterns throughout the 19th and early 20th century United States. Students will learn how to identify a quality axe by brand, condition, and design, how to restore that axe head to working condition using simple tools, how to select the proper piece of wood for a new axe handle, and how to craft that piece of wood into a handle specific for them. The end of the course will focus on axe use and tree felling. Your supply fee includes an old tool to be restored. American made tools were once a standard to be set against. 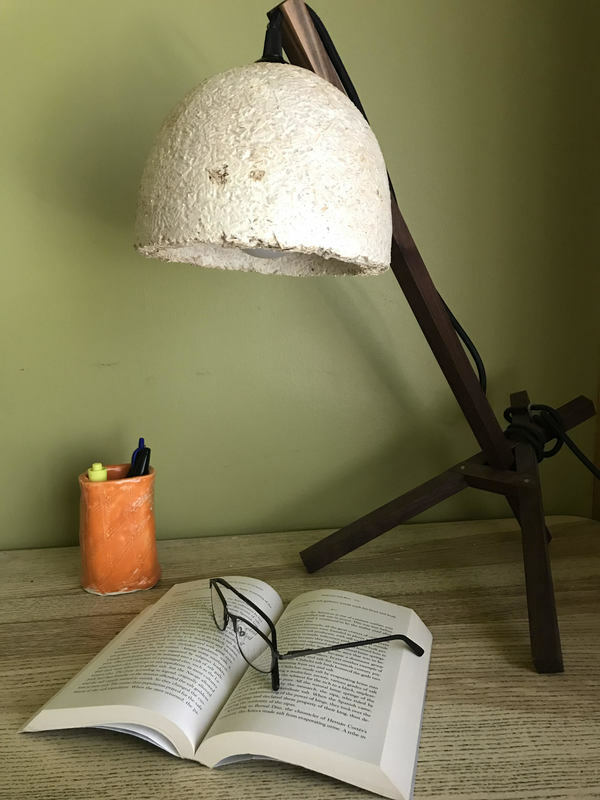 In this course, students will be given a brief history of regional tool brands and what they were known for, gain the skills and knowledge to be able to identify old tools in any flea market or antique store and how to restore these tools to excellent working condition using simple methods and materials. 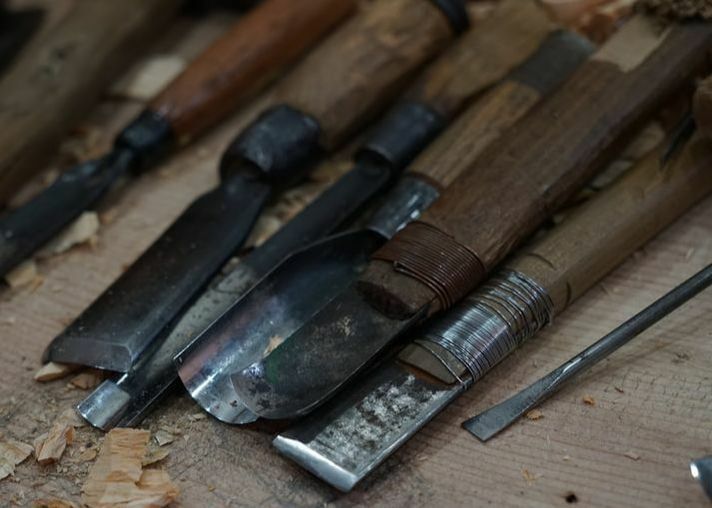 The course itself will focus on hand planes and chisels, but students are encouraged to bring any tools they are interested in restoring or have questions about. Your supply fee includes an old tool to be restored. Learn the basics of spoon carving using green (unseasoned) wood and various grasps and carving techniques using high quality handmade crook knives and a small hatchet/axe. This class is suitable for both novices and those with some experience who wish to hone their carving and whittling skills. By the end of the day, you will have made a simple spoon and gained mastery of the basic skills to make spoons on your own. Our Mission: The Michigan Folk School is committed to creating a community engaged in authentic, hands-on experiences through the teaching and sharing of traditional folk arts, crafts, music, and skills in an inspiring natural setting and to promote the preservation of forest and farmland.